There are many issues regarding datasets classification. One such issue is class imbalance classification, which often occurs with extreme skewness across many real-world domains. The issue presents itself as one of the fundamental difficulties to form robust classifiers. In this paper, a sampling method was used to identify the performance of classification for k-NN classifier and C4.5 classifier with a ten-fold cross validation. Experimental results conducted showed that sampling greatly benefited the performance of classification in class imbalance problem, by improving class boundary region especially with extremely imbalanced datasets (extreme number of imbalanced ratio). This result demonstrates that class imbalance can affect many domains in real-world applications. 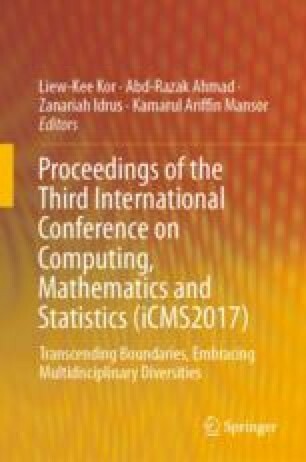 The authors would like to express appreciation to the UTM Big Data Centre of Universiti Teknologi Malaysia and Y.M. Said for their support in this study. The authors greatly acknowledge the Research Management Centre, UTM and Ministry of Higher Education for the financial support through Research University Grant (RUG) Vot. No. Q.JI30000.2528.13H30.